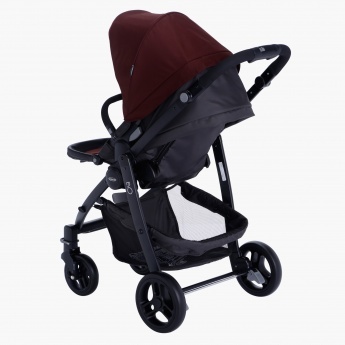 EVO TRAVEL SYSTEM-BIT CHOCO FIERY RED | Brown | Stroller can be used from newborn to 18 kg. Save AED 585 (32.52%) – Earn 116 Shukrans What is Shukran? Shukran is the Landmark Group’s award-winning loyalty programme in the Middle East, which allows you to earn Shukrans when you shop any of our brands. Designed for your little one's comfortable travel trips, this baby travel system is a must have. 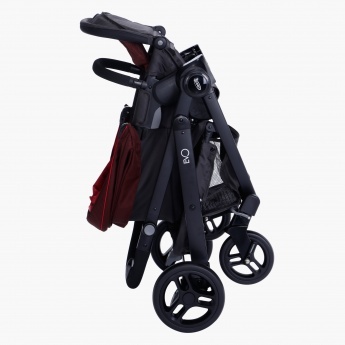 This travel system features a stroller with front handle and adjustable footrest and a car seat with adjustable belts. 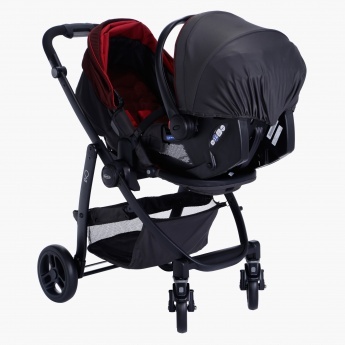 Feature 2 : Car seat can be used from new born to 13 kg. 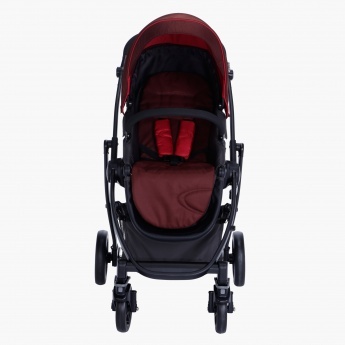 Feature 1 : Stroller can be used from newborn to 18 kg. 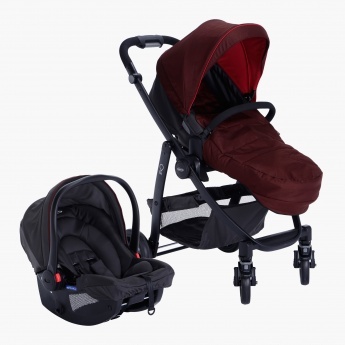 Feature 3 : Reclines multi position seat and adjustable footrest.